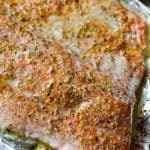 Minnesota Wild Rice Hotdish is a legendary dish that appears at almost all cold-weather Minnesota potlucks, especially up North. The farther North you get, the more likely you are to run into a wild rice dish on local menus, church dinners, or a friend’s house. 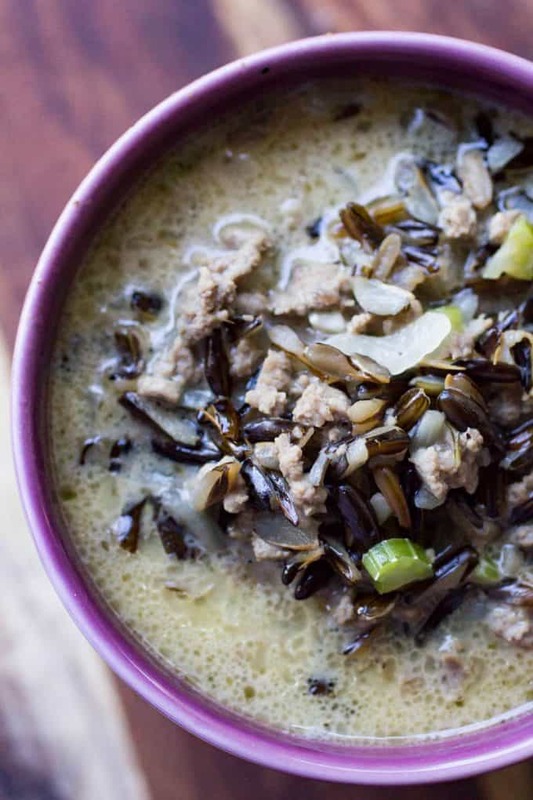 Wild Rice Hotdish Soup, on the other hand, is not something I ran into very often and I am on a personal mission to change that. 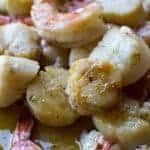 This recipe is a little non-traditional, in that it doesn’t contain ANY cream-of-whatever soups. Not that I’m opposed to those, necessarily, I just prefer to skip it when I can. I got out of the habit of keeping those in the house a few years ago when one of my sons was diagnosed with a soy allergy. He has since grown out of that, thank goodness, but I never did go back to always keeping those cans of soup in the house anymore. 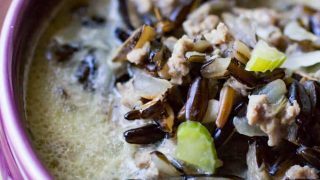 Know what I DO keep in my house though that came in ALL KINDS OF HANDY with this quick and easy wild rice recipe? A packet of AU JUS mix. It isn’t just for sandwiches, you guys. 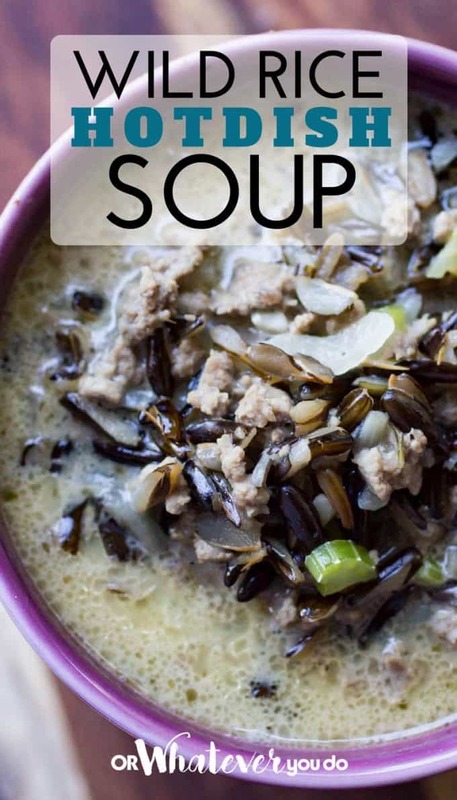 For this recipe, I happened to have some fresh Instant Pot Wild Rice on hand, which worked wonderfully in this soup. 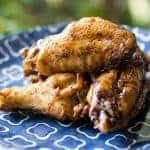 It is quick and easy and cooks the wild rice perfectly. I’d never made wild rice before under pressure, but I don’t think I’ll ever make it another way again. Perfectly cooked grains. I use this rice in my Corn & Potato Chowder recipe also. 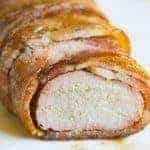 LOVE the flavor and texture it adds. Well, I’m glad you asked because it isn’t actually RICE at all. 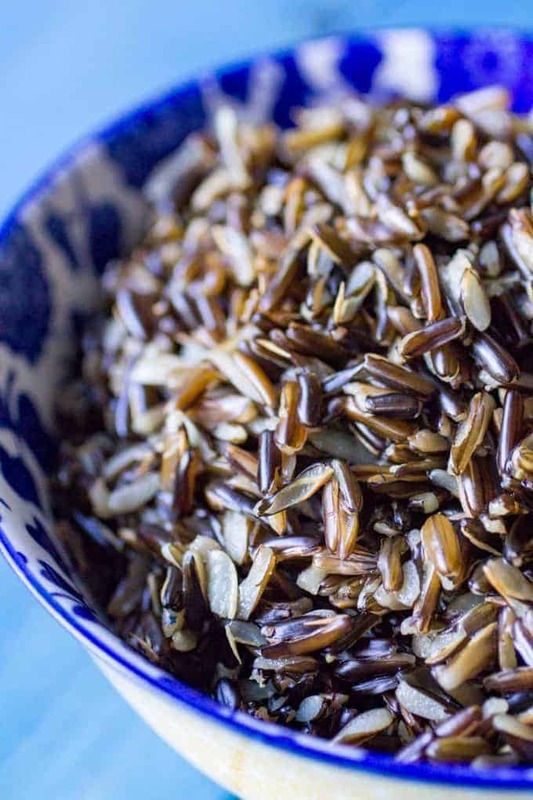 Wild rice is actually the seed of a grass that grows extensively in Minnesota and Wisconsin, and also a bit in Canada. 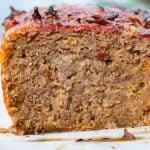 It is naturally gluten-free, if that’s a concern for you, and has a rich nutty flavor and is high in protein, dietary fiber, and amino acids. You should try and avoid the “cultivated” varieties if you can. They are less expensive, but also less flavorful and lower quality. I always stock up when I go visiting northern Minnesota, or you can find local retailers up there that’ll ship it to you for much less than you can get it in the grocery stores if you aren’t local to the area. 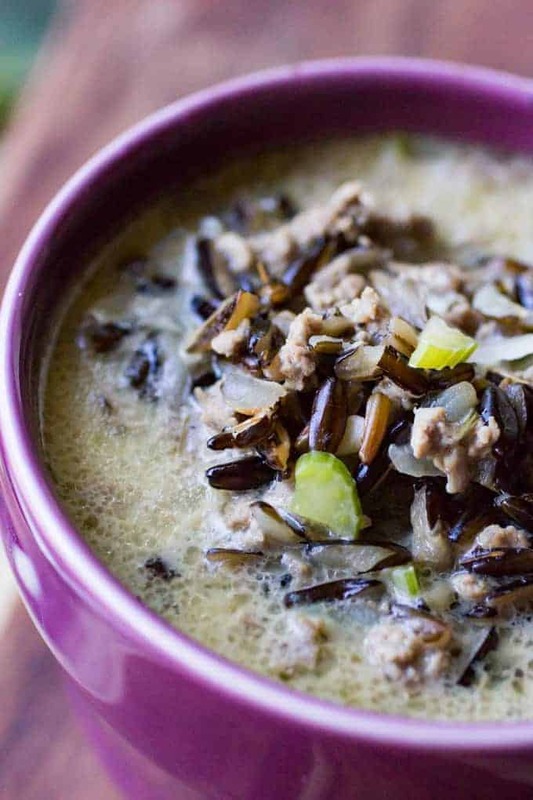 If you have some extra wild rice to use up, try my Creamy Chicken, Mushroom, and Wild Rice soup! 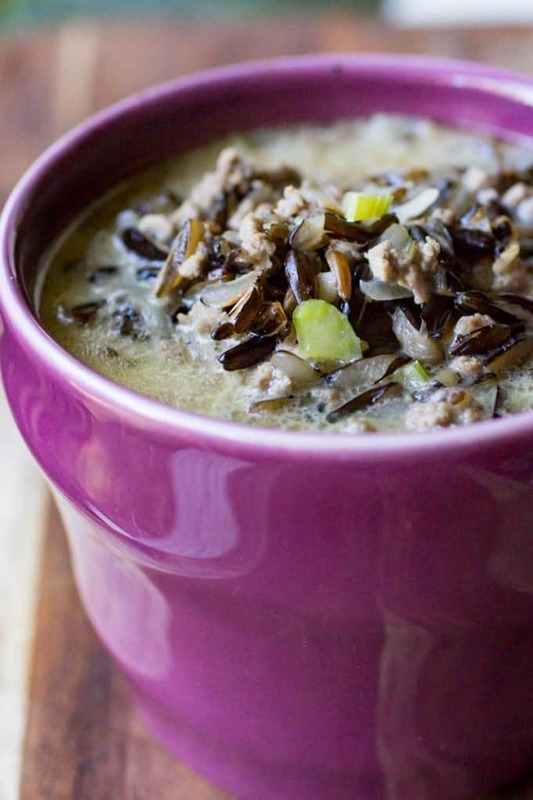 Wild Rice Hotdish Soup is a warm, comforting bowl of rich, delicious beef broth, onions, celery, ground beef, and tender wild rice. It is your favorite casserole, in soup form and minus all of the "Cream Of" additives. Place the ground beef, celery, onions, and the seasonings into a large skillet. Cook the over medium to medium-high heat until fully browned. Drain off any excess fat. 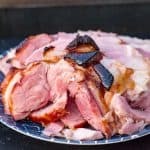 Place the meat into a medium stock pot along with the water, au jus mix, and wild rice. Simmer for 10 minutes over medium heat. While the soup is simmering, melt the butter in a small skillet and whisk in the butter to make a roux. Continue cooking over low heat, whisking frequently, until the roux is browned. With the soup simmering, stir in the roux and cook until slightly thickened. Should be the consistency of a thinner gravy at this point. Remove from heat and stir in the cream. Serve immediately with warm crusty bread and a fresh green salad. This is so good and so suitable to have it in this cold winter. Fantastic.